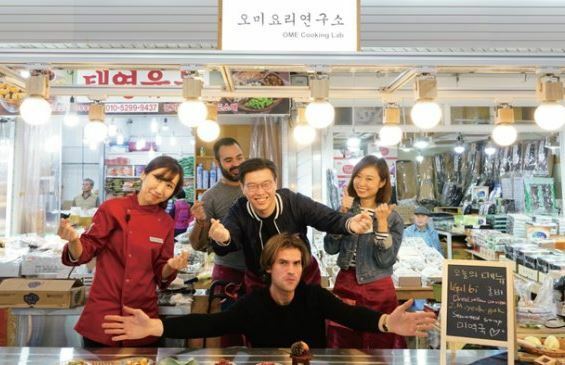 OME’s cooking class is one of the eight tourism programs selected for “Seoul Tourism Startup 2018,” a series of programs aiming to provide “unique” travel experiences for foreigners visiting Korea. Participants will learn basic Korean phrases and use them to buy fresh ingredients from the Euljiro Jungbu market. Later, they will be taught how to make traditional Korean dishes such as bibimbab, or dalgona, a soda-and-sugar candy. According to Seoul, the intention of the cooking classes is not just as a service for tourists, but also an effective method to revitalize the local traditional markets. OME’s cooking class is provided in English only.